We have outlined below the two basic elements of our services; Find Tenant only & Fully Managed. However, we are able to adapt our services to meet our client’s individual needs. We offer excellent bespoke packages to appeal to first time, long standing or investment Landlords and these are tailored to suit your individual property portfolio. Please do not hesitate to contact us to discuss your requirements. For full details of the below packages please see New Landlord Pack 2018 here. To take advantage of our fully managed service our initial invoice to rent your property would be in the sum of £234.00 (inclusive of VAT). After the handover with the Tenant is completed, we take on full management of the property, which includes; Collection of Rent & payment to your Bank Account & provision of statement, periodic inspections of property, co-ordination of repair or maintenance including arranging for tradesmen to attend and obtaining estimates, supervising works & settling accounts from rents received, Day to day management & point of contact and Carrying out a full property inspection and inventory check at the end of the Tenancy and dealing with matters relating to all dilapidations or wear and tear prior to the release of the deposit. This service includes all Advertising, Marketing, the To Let Board, Accompanied Viewings, full references & credit checks completed on the Tenant, drawing up the Legal Tenancy Agreement and arranging a move in date. A Tenant handover pack is created and we meet the Tenant at our offices to collect the first month’s rent and deposit, ensure all legal documentation is signed and the keys are then given to the Tenant. This completes the handover process. We then pass all the documentation to yourself in order for you to be able to self manage the property and collect the rent each month. Download our Landlord information pack New Landlord Pack 2018 for full details and see our full list of landlord fees here Landlord Fees 2018 or contact the office on 01332 340461 today. FREE property appraisal to ascertain rental income attainable. 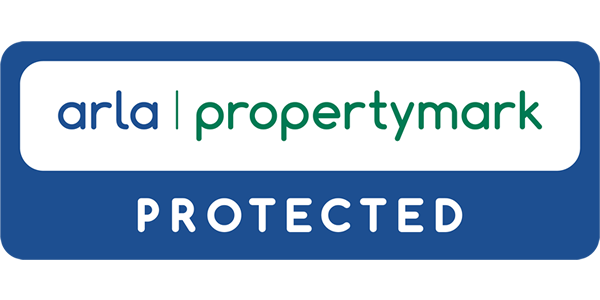 Interviewing prospective tenants and obtaining full references/credit history - Stuart Smith [Derby] Ltd. are registered under the Data Protection Act 1998 Registration No. PZ 8688507. Where necessary, additional security would be negotiated by means of a Guarantor. Preparation of the appropriate Tenancy Agreement/Contract with inclusion of special clauses where requested; renewal of the Agreement where necessary at the end of the Term. Liaising with a Landlord’s mortgagees as necessary with regard to references and Tenancy Agreement. FREE inventory and Schedule of Condition together with photographs where appropriate. Taking a deposit from the tenant, such deposit to be held by the Agent as stakeholder until the end of the tenancy when the Property and contents have been checked for unfair wear and tear / dilapidations against the inventory. Collecting the rent monthly / quarterly as agreed, and paying over to Landlord monthly / quarterly less any fees or expenses due or incurred for the period. N.B. Payments can be made either mid-month or at the end of the month by direct bank transfer or cheque together with a detailed rent statement. An inspection of the Property will be carried out within the first quarter, and at the Agent’s discretion thereafter. Responsibility for and management of empty property is not included, and will only be carried out by special arrangement. Fair rent negotiations for existing lettings to ensure rents keep pace with inflation. Making payments on behalf of the Landlord from rents received for insurance premiums, etc. Carrying out a full property inspection and inventory check at the end of the tenancy and dealing with matters relating to unfair wear and tear prior to release the tenant’s deposit. Tax liaison for overseas clients.